In order to prevent CT images from being stolen and tampered in telemedicine, a secret sharing method of (n, n) structure is designed and combined with the classical chaotic digital image encryption method. The method consists of three parts: In the first part, singular value decomposition is used to generate the key of the Henon chaotic map and CT subgraphs; in the second part, the Henon map is used to generate chaotic sequences of scramble CT subgraphs. Then a valueless image selected by the user is used as an impurity image, the diffusing operation is completed by a XOR operation between the impurity image and the image obtained by the scrambling operation. Finally, the image obtained by the diffusing operation is divided into multiple parts by the secret sharing method designed in this paper and embedded into the cover images selected by the user to generate several shadow images. The third part is the decryption part, and the decryptor completes the decryption when all the shadow images, impurity image and keys are collected. 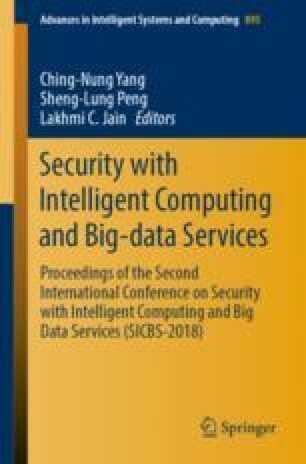 Several experiments have shown that this method has excellent performance in the test of ciphertext statistical characteristics, sensitivity, PSNR and other typical indicators for measuring the performance of image encryption methods.